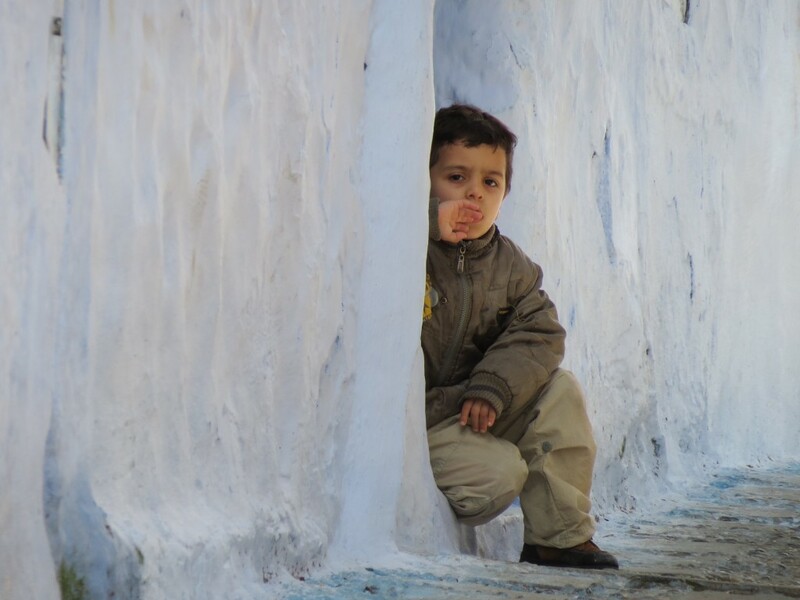 This observer was sitting outside of his home in Chefchaouen, Morocco. Known as the Blue City, Chefchaouen features quaint streets with children playing alongside their parents’ markets, men selling souvenirs in traditional Moroccan garb, and beautiful architecture on every corner. Jewish refugees in Chefchaouen started the tradition of painting the buildings blue, and it has stayed that way ever since. Every part of the city is painted blue, and it gives the city a unique atmosphere unlike anywhere else. The people from Chefchaouen welcomed us as foreigners and enjoyed talking to us. This little boy, however, seems to be a bit more skeptical about the tourists that are walking through his hometown.